Fashion Footing: Brand Blast: Love, Angeline Week! It's time for another Brand Blast, which is a week long feature of one of my favorites brands. This week, we are looking at Love, Angeline. Her Harmonious Gemstones are seriously gorgeous and this week, I have some polishes from her Let's Grab a Drink collection, a collection of matte shimmers. Guys. STUNNING. Each polish was more beautiful than the next. But I'm getting ahead of myself. The first polish is Shandy, a golden yellow matte polish with gold shimmer. I used two coats here but it was very very very close to being opaque in 1 coat. Ummm yeah. In love. 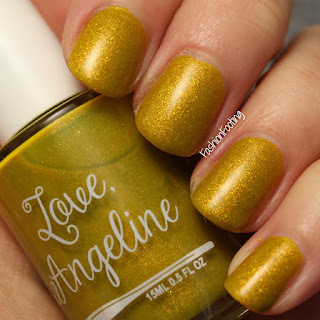 Have you tried Love, Angeline before? 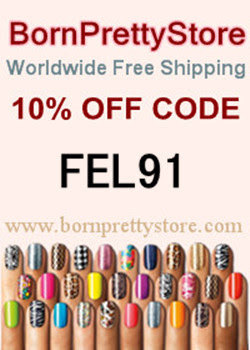 What are your favorite polishes from her brand?